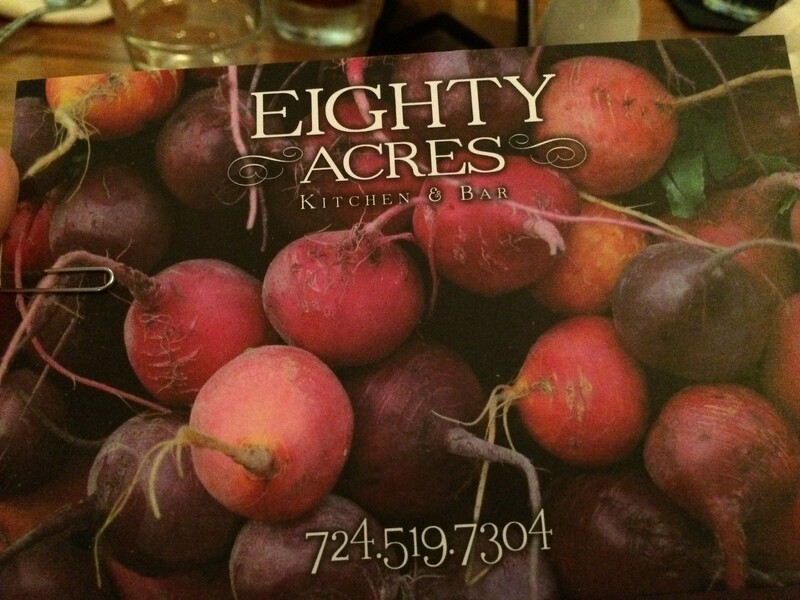 Vicki's family, who live in Pennsylvania, read about Eighty Acres Kitchen & Bar in the local paper. They were intrigued and interested in checking it out. 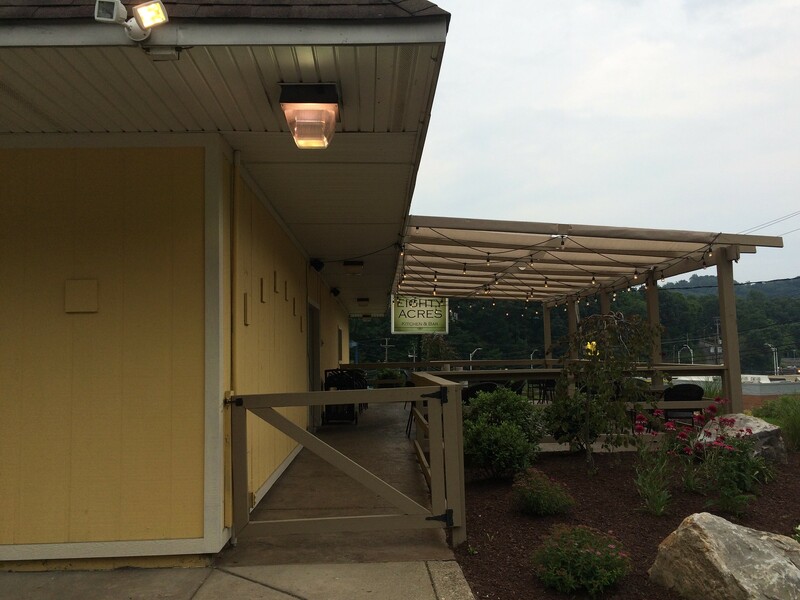 When Vicki was thinking about driving up to meet them for a dinner at the restaurant, located in the Plum area of Pittsburgh, I was happy to join. 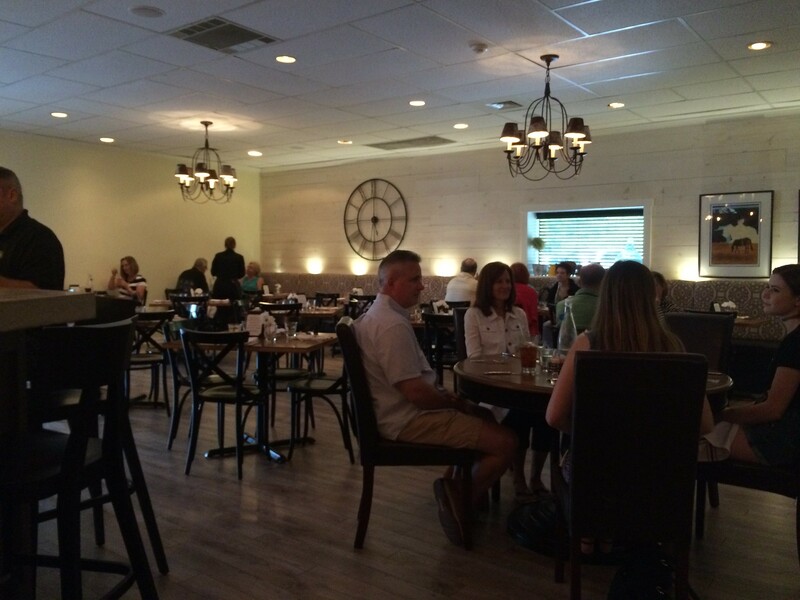 The family-owned restaurant focuses on contemporary, seasonally based dishes. The name is an homage to the owner's father, who bought an 80-acre farm and raised goats in Missouri. Owner and head chef Don Winkie has worked in kitchens for more than 30 years and found himself commuting into Pittsburgh on his days off to dine with his wife. That's when he decided to open a "destination" restaurant for folks both from the suburbs and city. And, it is. The interior has some rustic features juxtaposed with sleek black chairs. Chalkboards display specials for the day, and tables are adorned with fresh flowers. It's a modern rustic feel. Dining with four people meant there were more bites I could sneak of all the different menu options. Let's start with the "snacks" and "starters." Snacks are slightly smaller, while starters are a big easier to share. 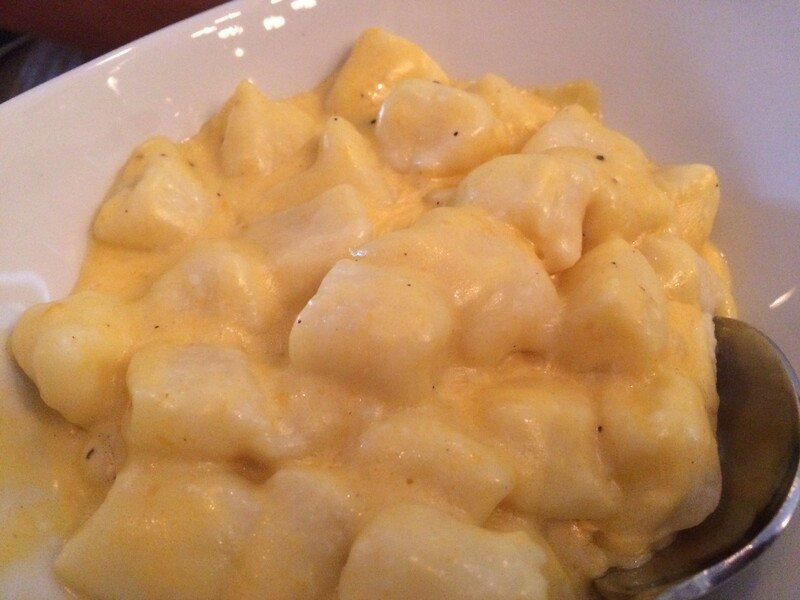 I ordered the house-made ricotta gnocchi with aged cheddar bechemal. It is a simple, fluffy dish that has a mild cheesy sauce. No flavors are super prominent here, and I wish the gnocchi had a bit more of a substantial texture, but not a bad starter. 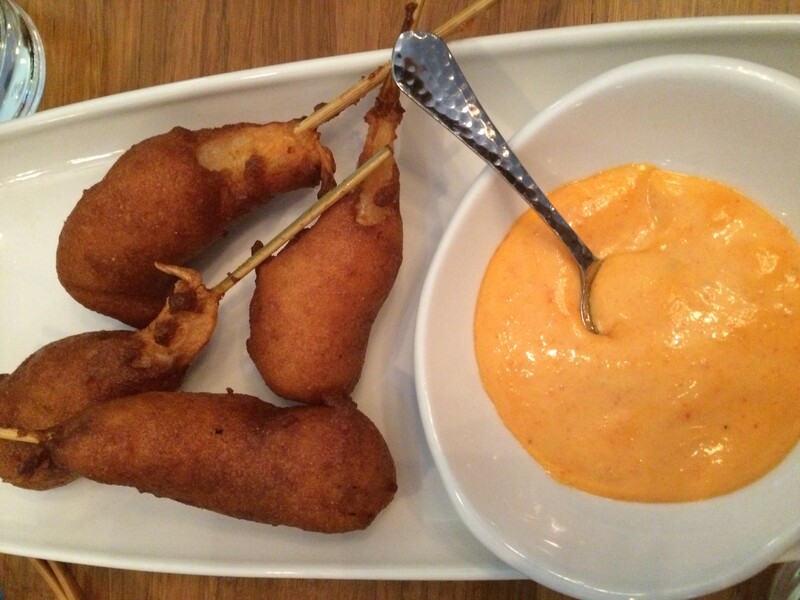 Next was the shrimp corn dogs, which come with a tobasco roasted red pepper aioli. A little odd, right? It's a nice sized shrimp on a skewer that is fried in a cornbread batter. 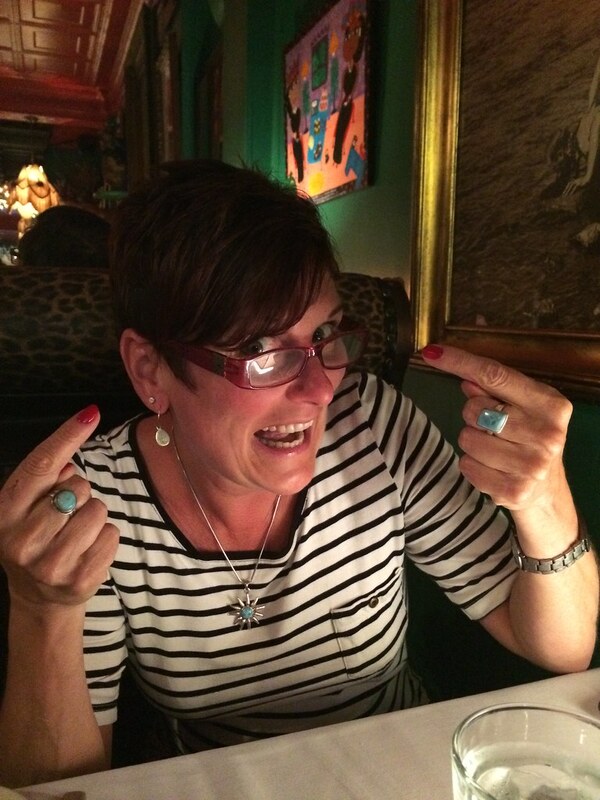 The professionals are split on the matter (here and here), but I think I am leaning toward the "yay!" side. I do think the batter is a bit overwhelming for the more delicate shrimp flavor, but I also think it ends up balancing out and is just a fun carnival food with a modern flair. The Coyote Queso is next and has melted fontina, chorizo, roasted poblano with brick oven flatbread. This was a very satisfying, comforting starter. 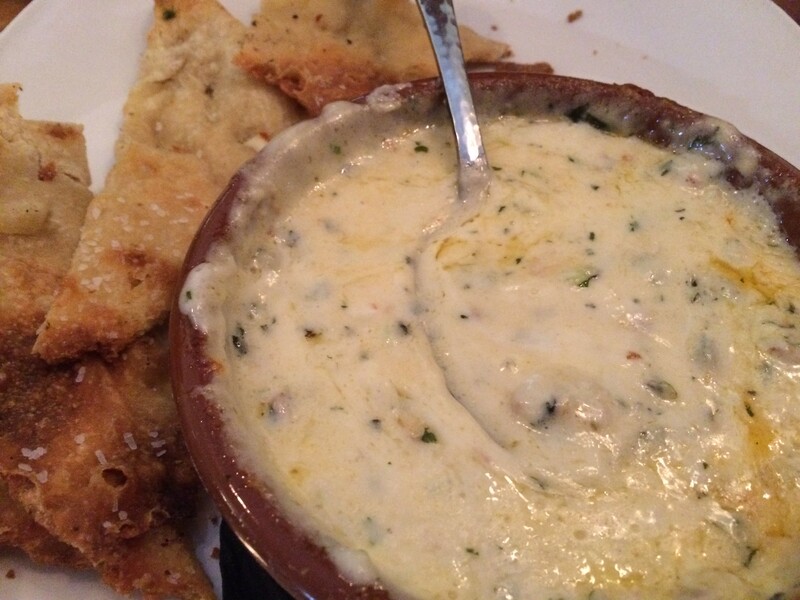 The melty cheese paired with a crunchy piece of flatbread is mm mmm mmmm. 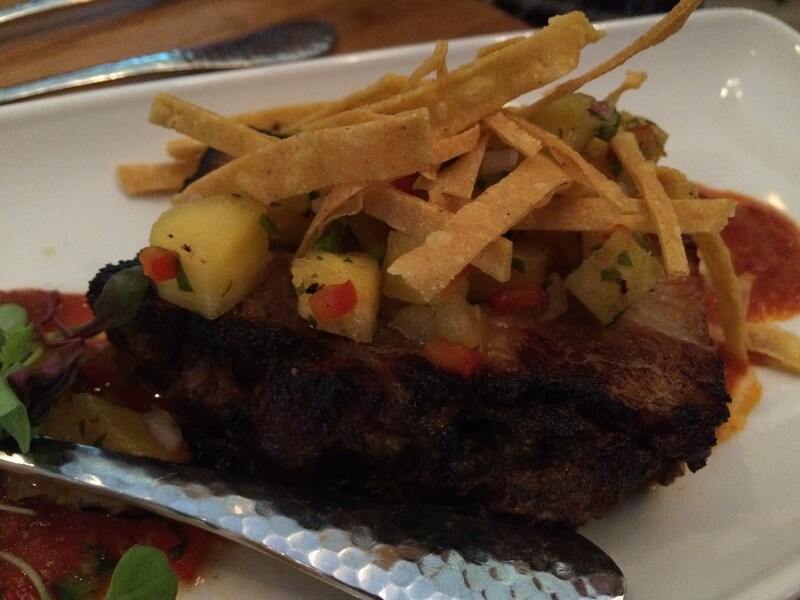 The last starter we tried was the crispy pork belly with a mole amarillo and pineapple salsa. While the flavor was good, especially with the mixture on top, the texture needed some work. It was more chewy than crispy. For the entree options, they enlist a ton of protein, from steak and crab cakes to duck, salmon, burger, pork and chicken. 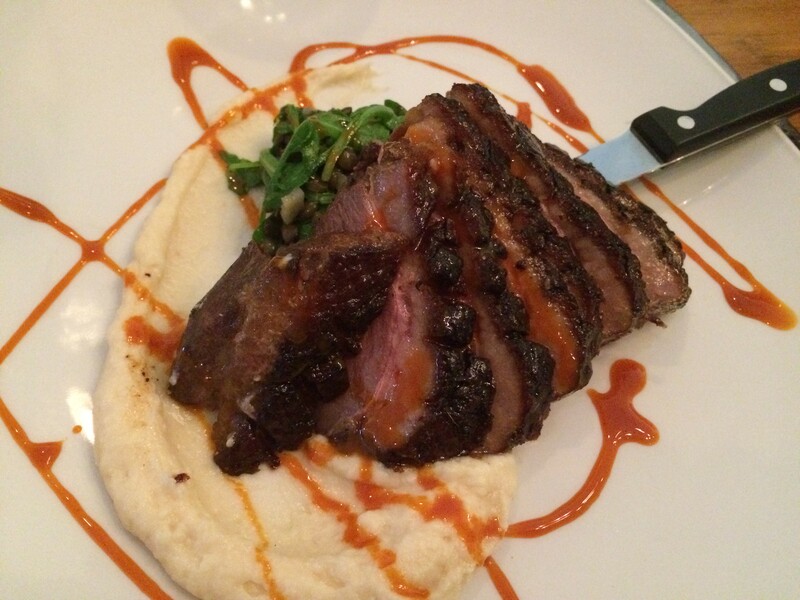 I ordered the duck breast with a celery root puree, lentils, wild arugula and a ginger carrot gastrique. This was cooked very well, with a beautiful dark crisp crust around each sliver. The celery root puree added an earthy, umami flavor, and the sweetness of the gastrique was the sweet note the dish needed. It's pretty well balanced. For dessert, because of course, I ordered the strawberry shortbread. Dear god, was this delicious. It wasn't super rich and overwhelming, but it was light with a buttery, crumbly biscuit. 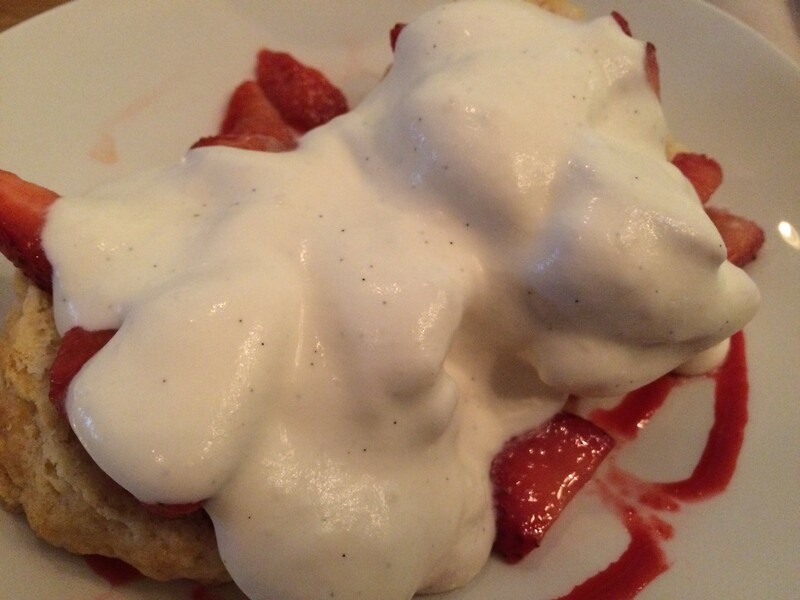 It was topped with a ton of fresh sweet strawberries and freshly whipped cream. This was definitely my favorite part of a dessert. A nice sweet finish but without sugar overload? Perfection.